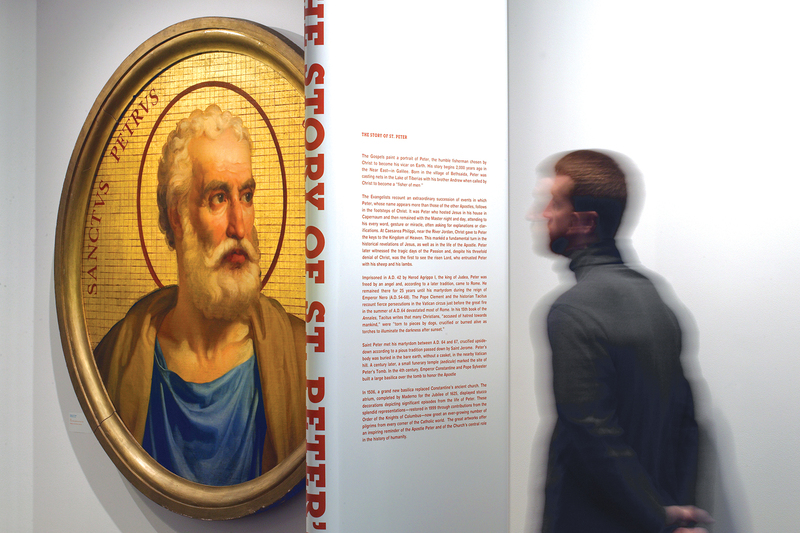 The objective of the Knights of Columbus Museum’s Creating St. Peter’s exhibit was to explain to visitors the details and background of the design and construction of this architectural marvel, as well as its upkeep over the centuries. 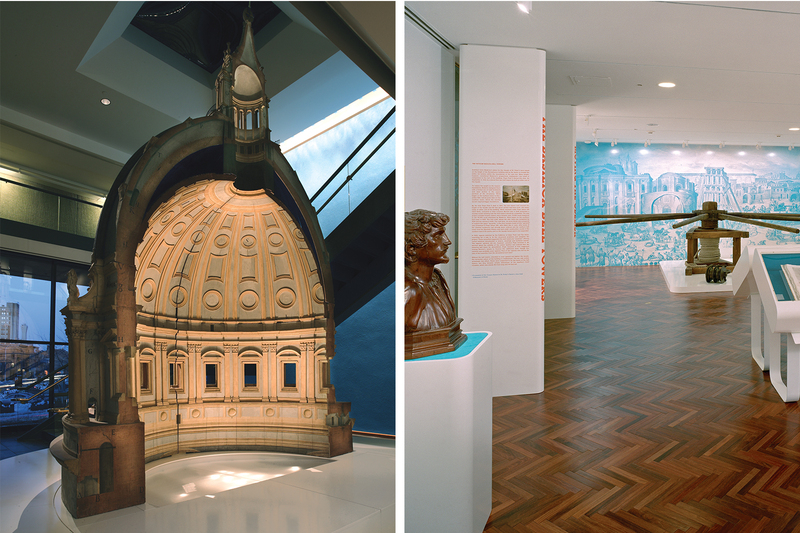 Revolving around the centerpiece, Michelangelo’s original 16ft 1560 study model of the Dome, Spagnola & Associates designed this exhibit of over 100 objects—architectural models, paintings, sculpture and prints—to enable the viewer to totally experience the magnificence of St. Peter’s Basilica in Rome. Our layout, mounting, display and, most critical, lighting plans assured the logistics, that all the priceless artifacts fit dramatically into the space, while our design of the accompanying logo, catalogue, and promotion materials skillfully coordinated all graphics and text into a unified look and voice. We created further excitement and energy by incorporating a bright, contemporary color scheme of blue, orange and white—reminiscent of the Roman sky, sun and clouds—to contrast the muted tones of the classic, historic pieces. 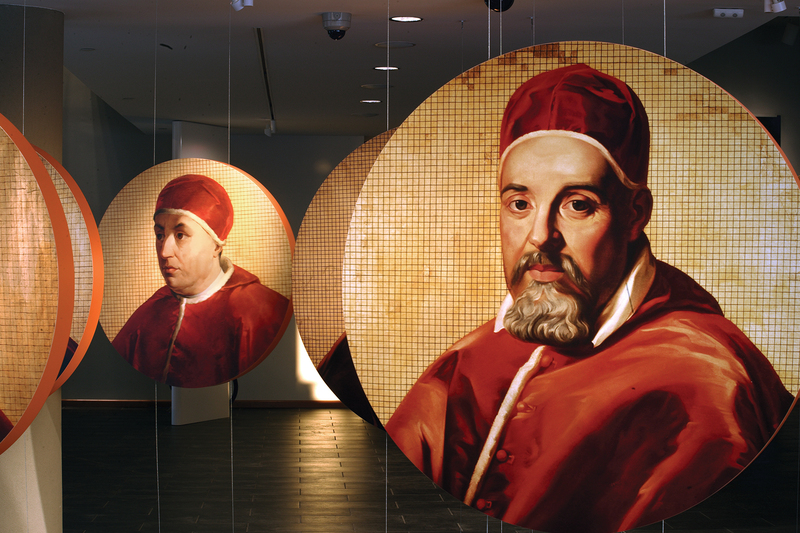 The result was a beautiful manifestation of both the history and design of this part of the Vatican.